10 years? That's right. It's December once again and believe it or not, I'm exited to welcome you to the 10th annual edition of Steve's 25 Days of Christmas Music, a tradition we share via the TannerWorld Junction discussion forums, as well as here at SteveandAmySly.com, Facebook, and Twitter. Yup, back in 2001, who would have known that I'd still be sharing Christmas songs all tied together with a single theme all these years later. What am I, crazy? Apparently so! 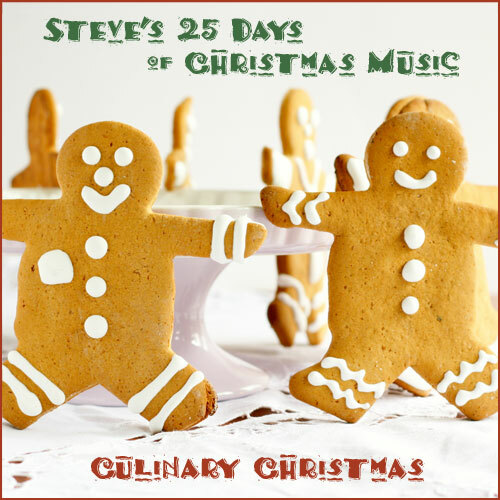 For those who are just joining us, here's what Steve's 25 Days of Christmas Music is all about. Starting December 1 through December 25, I'll be posting new music each day that you can download, no strings attached. It's all FREE, FREE, FREE! Songs will be in MP3 format — so you can listen via any media player or your iPod. It's just like an audio advent calendar, except that you won't have to fight with your dumb sister over who gets to open the next little door!